Yahoo Mail might not be the trendiest web mail service on the planet, but it's still used by hundreds of millions of accounts (if not necessarily that many actual people). And somehow, the official Yahoo Mail app for Android has neglected to sync contact information with the operating system before now. That's been rectified, according to the Mail blog on the Yahoo-owned Tumblr. The latest version of the app in the Play Store, 5.5.3, confirms it in the changelog. 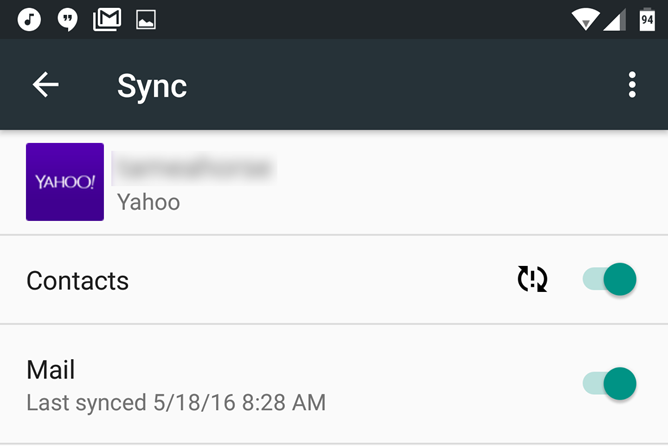 Users can now sync Yahoo contact data to local contacts via the primary Android Settings menu. It's turned off by default; to enable it, go to Settings, Accounts, then tap your Yahoo account twice. The Yahoo Mail app itself is surprisingly modern - it's been gently prodded and tweaked over several years, and if it's not the equal of Gmail, then it's certainly trying to be. Yahoo is now offering a beta version of the app for eager testers of the latest features. It's an open beta so anyone can join, though users will need to opt in via the somewhat clunky Play Store beta system at this link. It should work on devices running Android 4.1 or later.